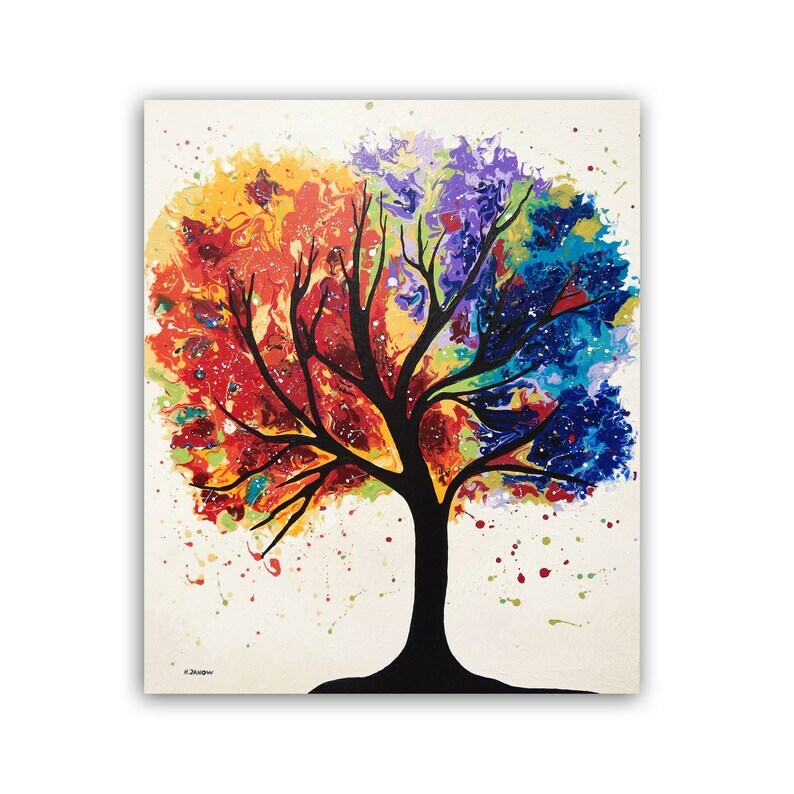 Tree Wall Art for Your Home! Beautiful rainbow of colorful hues of red, yellow, blue, purple and green really makes this original, one of a kind acrylic pouring painting pop! Try it on a blank wall above the table or couch or hang it in the entryway to grab your guests' attention! Unique, original gift for any occasion! “Mystical Tree” artwork was created on 20"x24"x1.5" gallery wrapped canvas using my Unique Acrylic Pouring Technique™. Unique Acrylic Pouring Technique (TM) simply means Pouring Acrylic Paint onto a canvas rather than using a brush. This technique comes to life when the acrylic paint is mixed with water and, literally, poured onto the canvas, creating free-flowing shapes and forms. The color mix is unique to each painting and can not be duplicated! - Certificate of Authenticity is also included, signed and dated by me, the artist.